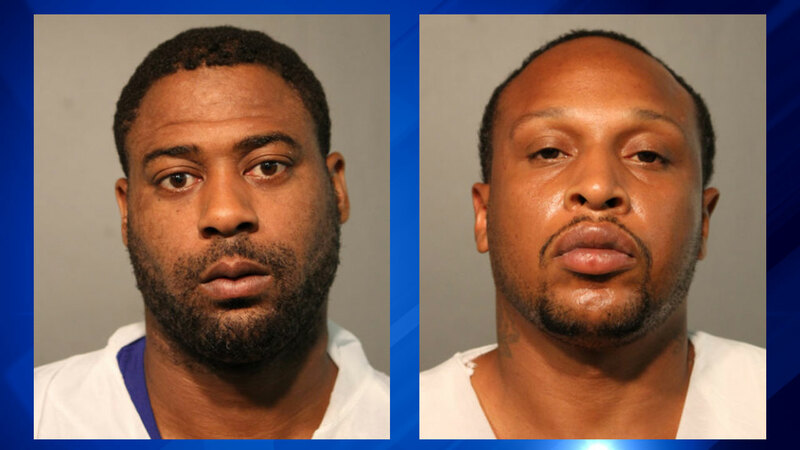 CHICAGO (WLS) -- Two men have been charged in a fatal Uptown shooting on Wednesday, Chicago police said. Michael Laster, 28, and Jonathan Thompson, 33, both of Chicago, both face two counts of first-degree murder. They are scheduled to appear in bond court on Friday. The shooting happened near West Argyle Street and North Winthrop Avenue -- not far from the Argyle Red Line stop - at about 2:15 a.m. on the city's North Side. The victims, both men who were ages 32 and 34, were shot multiple times and pronounced dead at Illinois Masonic Hospital.